You can set reminders through the Courses page or the Week page. You can choose the date and time that you would like to receive the reminder. Reminders are sent as push notifications to your device. 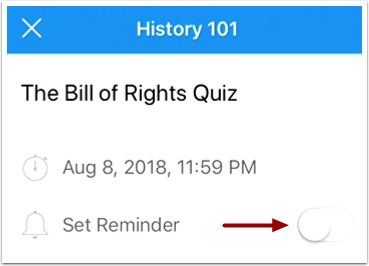 To set a reminder via Courses, tap the name of a course. 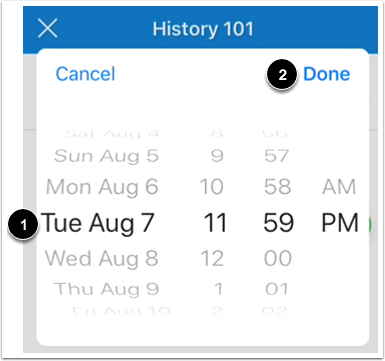 To set a reminder via the calendar, tap the Week icon. Tap the name of an event or assignment. Tap the Set Reminder button. Set the date and time that you would like to receive the reminder . Tap the Done link . 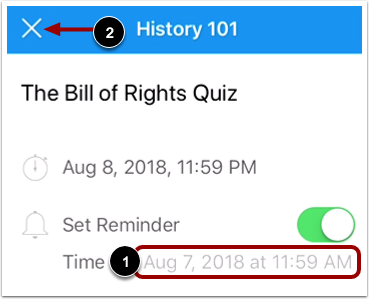 To close the assignment or event, tap the Close icon . 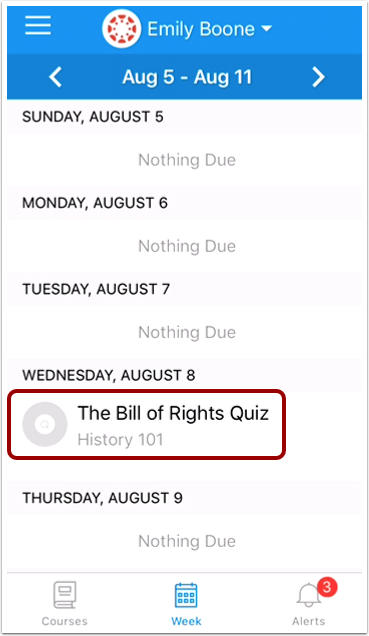 Previous Topic:How do I view the calendar of events and assignments for a student in the Canvas Parent app on my iOS device? 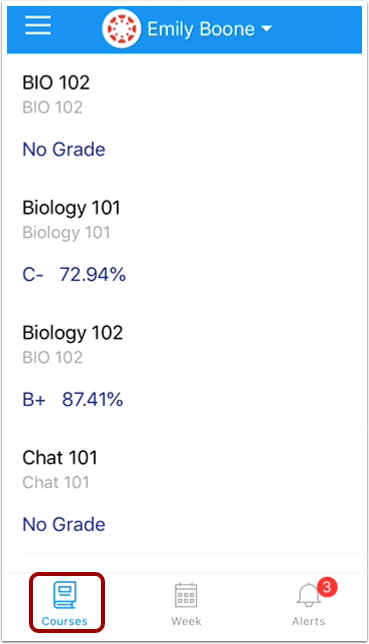 Next Topic:How do I view alerts in the Canvas Parent app on my iOS device? 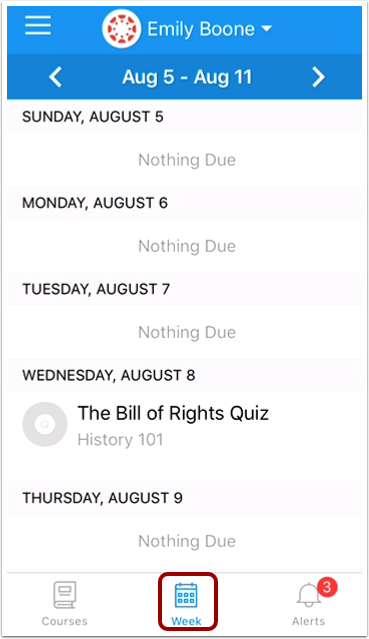 Table of Contents > Observers > How do I create a reminder for an assignment or event in the Canvas Parent app on my iOS device?